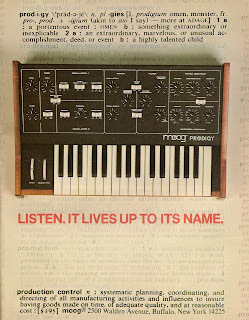 Moog Prodigy synthesizer from page 91 of Contemporary Keyboard February 1980. 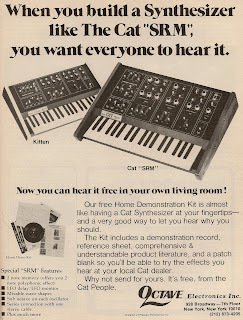 Octave Electronics Kitten and Cat "SRM" synthesizers from page 67 of Contemporary Keyboard Magazine February 1980. 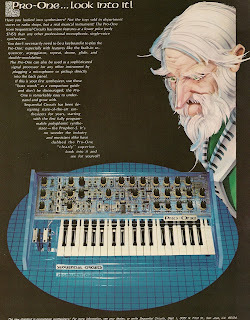 Sequential Circuits Pro-One synthesizer from page 79 of Keyboard magazine October 1982. 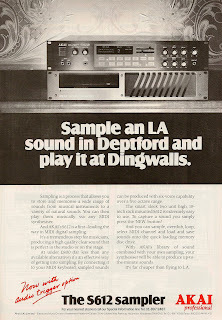 Akai S612 sampler from page 25 of Electronics & Music Maker magazine APril 1986. 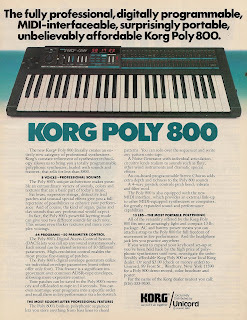 Korg Poly 800 synthesizer from page 2 of Keyboard magazine September 1985. 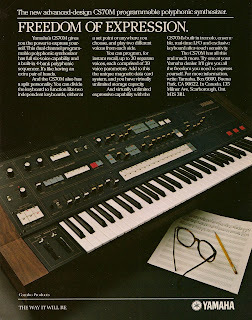 Yamaha CS70M synthesizer from page 46 of Keyboard magazine July 1982. 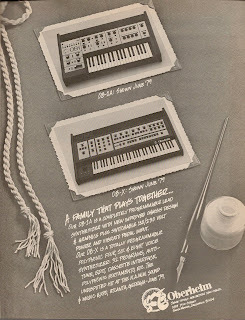 Oberheim OB-1A and OB-X synthesizers from page 33 of Contemporary Keyboard magazine February 1980. 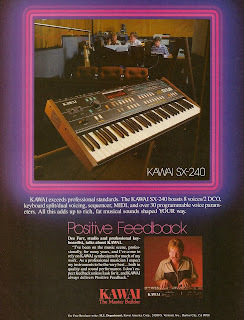 Kawai SX-240 synthesizer from page 40 of Keyboard magazine December 1984.